This year, Americans spent a whopping $21 billion dollars on food for our beloved furkids! That’s a billion dollar increase over last year, and that number is estimated to increase even more next year as we adopt more pets and continue to feed our dogs higher quality, better foods. I’m sure we’d all agree our pets are worth every penny, but wouldn’t you love to know how to shave some of those expenses? One way is to determine where to buy the cheapest dog food online. I set out to do just that. There are so many websites where you can buy dog food. Many of them offer prices much lower than you’ll find in pet stores. But, be careful. Once you add them to your shopping cart and calculate shipping costs, you may end up paying well over what you’d pay in a brick and mortar store. So we’ve done the comparison work for you. 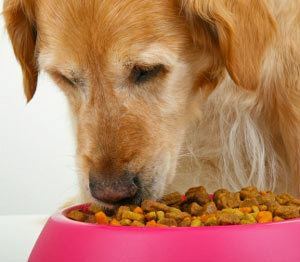 Here’s a sampling of several high quality dog foods, descriptions and package sizes along with their pricing – with the shipping included. In the examples below, Wag.com offers free shipping above $35, Chewy.com offers free shipping over $45 and Amazon has free shipping with a Prime account, which we included in our calculations. Pet Food Direct offers free shipping coupon codes which we did not search for, as their prices were rarely the lowest. I always suspected Amazon was the cheapest place to pick up dog food. Plus, they deliver right to the door, can’t beat that! Lately I’ve been buying in bulk though and my veterinarian is able to get a bulk discount on certain brands so you could always try asking them if they’re able to help you out in that department. Sad that we are now recommending online retailers instead of mom and pop dealers who truly CARE about your pets. When they are gone, online retailers won’t be able to offer the advice these stores have offered for years. Shame on you for suggesting this to your readers. detailed approximately my difficulty. You’re amazing! Thank you! This is a great list of foods and I like the way you have set up this chart. I’ve never tired Halo before. I’ll have to see if Butler likes it. Thanks a ton! This a remarkable webpage. 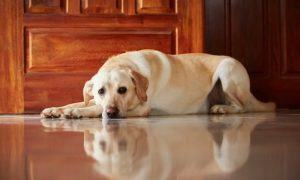 I just stopped feeding Bravo raw food to my 4 yr. old Lab….too much effort driving 30 min. to get it,thawing it out and cutting it up. The expense was bad as well. Trying Origen now and will feed leftovers fruit vegies meat as well. Having a little bit of a hard time with the decision because I really believe raw is best. Why buy dog food anyway? I get pork loin for .99 a pound and chicken leg quarters for .59 to .69, when I buy 100 lbs at a time. Tractor supply sells the highest quality dog food on the market in 4 or 5 flavors. “4 HEALTH” is a grain (and junk) free dog food of highest quality with no bi- products for .99 a can. Trash like old roy, pedigree or alpo is bad for your dogs, and will kill wolfdogs. At .99 a can, that’s about $ 1.40 a pound with tax. No tax on food in Ky, means I can get 2 pound of real meat for .18 more. I have an outside oven and freezer where I keep road kill deer. My mutts eat well. We put our cocker spaniel on the same diet, and all her health problems, even her allergies went away. So any other comments about Taste of the Wild? Have three dogs and they like it and seem healthy. I am really concerned about all the recalls and cautious about treats. Thought Taste of the Wild was pretty good food. Any info appreciated. Victor is the best! 40# bag $27.50 best stuff around y’all are all being fooled into thinking the others are even close to comparison. 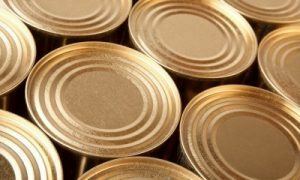 Every year Whole Dog Journal does one issue focusing on dry dog food and another focusing on canned food that compares the nutrition of all major brands. You forgot DrsFosterSmith.com! They have 28lb bags for $38.99 and it is frequently on sale for $29.00 and the 15 lb. bags are only $29.99. And it is , in my opinion the best dog food on the market. Fed it to my cocker who lived to 19yrs old and have started my new pup on it now! None of those foods are healthy for your dogs. When they have to include enzyme cultures because the food is more or less indigestible, that should be a huge red flag. No mass-produced dog food is healthy for your dogs. 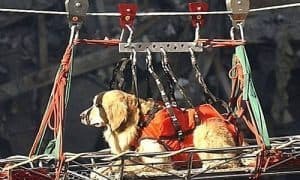 It’s all highly-processed and uses meat stock of dubious origin (Chinese animal meals, farmed fish not fit for human consumption, etc) along with fillers, chemicals, preservatives, and other things that are poisonous to dogs. The only way to ensure that your dogs gets natural, healthy food is to make it yourself. And, with some of these dog foods costing $3/lb or more, it’s cheaper to do it yourself. We make our own dog food using natural, locally-HUNTED organic meats (deer, squirrel, possum, etc), plant roots, vegetables, acorns, and other things that dogs were designed to eat naturally in the wild. We developed our own recipes by watching what our dogs would eat in the woods behind our house. They are happy, healthy, and even our 13 year old has the energy and vitality of a dog half her age. Stop listening to “Big Dog Food” and do what’s right for your companions. They have every right to eat good, healthy food. Not true. Blue buffalo is american sourced. You can find out on Whole Dog Journal the sourcing for the various major brands. Our dogs eat raw as of three years ago (just meat, bones, and organs), and they are the healthiest they’ve ever been. Our 9 year old was mistaken for a youngster at training class this fall. Of course, we also stopped vaccinating, which is a discussion onto itself! Has anyone tried Darwin’s Natural Pet Products? A friend recommended it to us and we’ve never been happier. We have three Chihuahua’s and they love raw food! I can’t say enough great things about this company. I have ordered on line before, but with 4 rescue dogs – rottweilers – so I have heavy weight orders. What kills me is the shipping. Would never buy Taste of the Wild. it is made by Diamond Pet, and they have had to many salmonella contaminations and recalls. 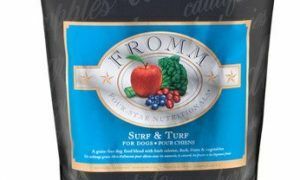 Fromm’s Beef Frittata and Pork & Applesauce are good foods, and I love the company. I had a question, so I emailed them and that same morning I got a call from a company vet. He could have just emailed, but he wanted to make sure I had all the info I needed. That is because FROMM is a family fun and always will be business. Go to their website and read about them and their history. Been around since 1904. 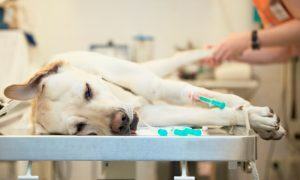 Did you know they introduced the first canine distemper vaccine? I recently found chewy.com to buy Fromm dog food. It’s less expensive than a local ’boutique’ pet store and shipping is amazingly fast. I just switched to Fromm and got it from chewy.com. They are the cheapest of anybody and free shipping. I’d really like to see a dog food quality comparison, since I’ve heard most are junk. Have tried to decipher the labels. but not sure what most of the ingredients are. I really hate feeding my best buds basically garbage food. Could use some help in that department. PS the prices on the premium food aren’t in the budget as my dogs are large breeds, and consume about 9 cups per day! I don’t know what breed your dogs are but I have two that are large-70# and 92#. Buying better quality food will significantly cut down the amount you feed. Mine each eat 3/4 am & 3/4 pm with a little ground turkey sprinkled over it. Their treats are vegetables. From my experience I would only be able to recommend Blue Buffalo or Wellness. I use dogfoodadvisor.com for breakdowns of the nutrition. I used to work for a nutrition company and it actually gives a pretty accurate analysis. For larger breed dogs, higher quality food will have more complex or less grains so they’ll eat a lot less and it’ll keep them lean. I personally like Merrick and Wellness brands. Taste of the Wild is also a good price/quality compromise. Our dog needs their grain-free version, but the original is great as well. Both are much cheaper on Amazon than anywhere else. I pay $40-50 for a 25-30lb bag depending on the brand/flavor/grain-free. Our 2yr old Vizsla/Whippet/AmBull/Bullmastiff mix (she looks like a pit mix) is a dense 53lbs and only needs 2 cups a day. A 25lb bag of Merrick’s Duck Grain-Free lasts her about 2 months. Hope that helps. go to dogfoodadvisor.com. 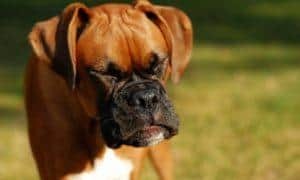 best site for a breakdown of dog foos (wet and dry)ingredients and, most importantly, gives you full explanations. One place I’ve found that is a good site for dog food comparison is http://www.dogfoodadvisor.com They rate the foods as to quality/ingredients/nutrition etc. Good luck! best comparison site ever. and has explanations of every ingrediebt. Dr. Fox would be an excellent place to find info about making your own dogfood, comparisons between brands, etc. Read the first five ingredients on the food. There are some mid-line foods that are still quality made. It’s okay if there is a protein meal as meal is only dehydrated meat. Stay away from by- products. Better Quality food however saves you on vet bills in the long run. Using some fruits like blueberries as toppers or baby carrots as treats are healthy affordable ways to get some nutrition in. I have 5 dogs. Four are large breed. I use Natural Balance for them. Other good foods are Blue Buffalo, Wellness, and Nutro. Stay away from foods like Beneful. I am certified in Dog/Cat nutrition and will tell you that the savings on the cheaper foods is not worth the animals long term health risks. If your dogs have any sensitivities, go with a duck, venison, or salmon version of any food. If you have dogs of different ages and have to buy different foods, some of the above brands have “all life stages” which can be fed from puppy to senior. 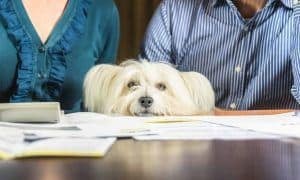 It can help cut some costs in a multi-dog household. Some websites offer discounts on dog food if you have it auto-shipped. dogfoodadvisor.com is who I look to. Ok, it is pretty easy. In dry food you want to see meal. Meal is dehydrated meat, example chicken meal, beef meal, duck meal. If it just say chicken, that is the whole chicken before dehydration. When chick is the first ingredient, after dehydration it will be one of the last ingredients, which is why you want to see chicken meal. Grains are not easily digested, so stay away from grains. Avoid fillers like beet pulp, that is what is left of the sugar beet after all usable parts are removed (it’s a filler), I look for food that have multiple protein meals as first ingredients. Then whole vegetables and fruits. I like Orijen dog food. It has 5 to 8 animal protein meals as it’s ingredients and lots of fruits and vegetables. It has 40% protien, no grains. Stay away from byproducts, corns, wheats, dyes, chemicals preservatives. 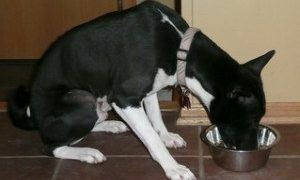 Go to http://www.daisysrescue.com to learn more about dog nutrition and care tips. 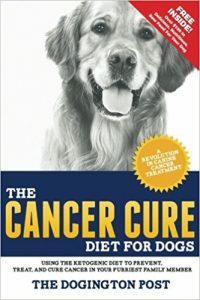 I use Susan Thixton’s Truth About Pet Food Newsletter “Petsumer Reports” Yes I pay $17.99 a year for it but it’s worth it’s weight in gold for what I have learned! Dogfood Advisor only reviews one formula of each brand so it’s not a great site. Susan rates all of them. She’s an advocate and works with a veterinary nutritionist. She also has a great cookbook for dogfood called “Dinner PAWsible”. I love to save money but would not buy from Amazon since they sell dogfighting materials.